Dr. Woohoo (translation: Serious Fun), is a Mountain View, CA based artist, developer and lecturer creating work for a wide range of clients, including Adobe, Taylormade-Adidas Golf, Nike Golf and Camelbak. Woohoo’s projects typically flow from the abstract to the practical. To generate his artwork, he cyclically moves between creating his own color and brush applications and plug-ins that attempt to capture his emotions and artistic vision, while emulating natural media. 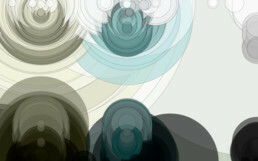 Woohoo’s artwork can be found online, on tv, prints, canvas, silk chiffon kimonos and scarves, and as kinetic sculptures. As a simple rule, he chooses to integrate innovative new features rather than duplicate functionality that already exist in the creative applications (Photoshop, Illustrator, After Effects and Maya) that he uses. This à la carte approach allows Woohoo to mix-n-match any feature from these applications along with his own bag of tricks and sculpt them into his own set of über-creative application(s). From a creative perspective, these solutions enable designers to play and extend what is creatively possible. 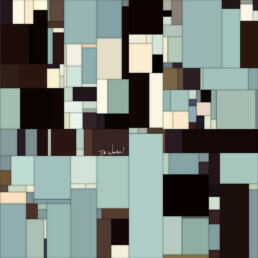 From a practical perspective, it turns out that the processes and tools created for Generative Art are a perfect match for automating and adding to the intelligence of the creative process and workflow – giving the designer an infinite amount of possibilities, while focusing in on variations that are relevant to that designer’s preferences. Woohoo has won over 50 awards – all of which he has recycled with a smile on his face and liberation in his heart.